Runners tend to be a dedicated bunch, especially since expertise is lost when running isn’t a daily or semi-daily occurrence. But what if the weather is bad, it’s dark outside, or there simply are no places to run? Then, it’s time to invest in an elliptical. It can be hard to choose one of these machines, especially since there are so many on the market. One of the best manufacturers, Proform, has made a ton of models that are great for the casual and dedicated athlete alike, and two of their best are the 520e and 720e. There are a few different factors that can determine whether an elliptical is the best fit for someone’s exercise habits. In general, these can be summarized as construction, technology, and accessibility. Construction refers to how sturdy a machine is. Lighter machines and those with wheels tend to be unable to withstand a heavier workout since they are likely to move and even break. Someone who knows they want to perform an intense running workout should avoid smaller, lighter elliptical as they will be unable to withstand the pressure and force of activity. No one wants to exercise in a machine that is constantly moving around and a potential danger to one’s health. Technology is how advanced the machine’s display is. 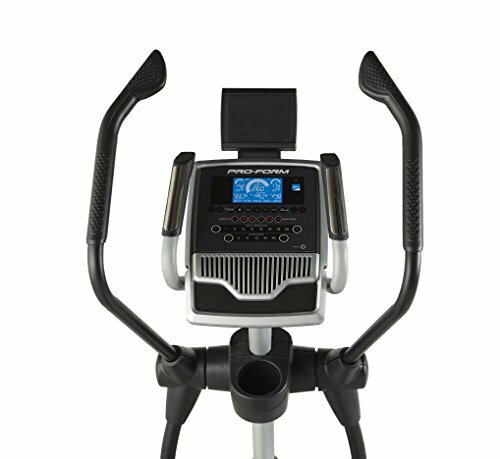 Some runners might want an elliptical that measures all sorts of factors involved in a workout, such as calories burned and heart rate. Others might be more interested in pre-existing exercise routines and Bluetooth connectivity. 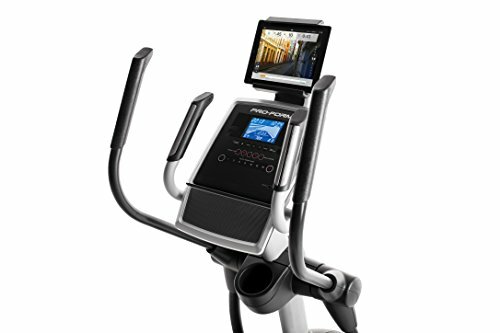 A machine with more tech will naturally cost more but might make running on the elliptical more exciting, interesting, or bearable for individuals who are bored easily. No one wants to run on a machine that is difficult or unpleasant to use. 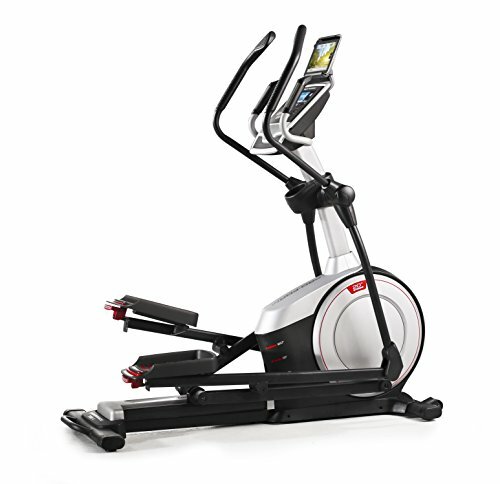 If the display doesn’t make sense, if the height of the steps is uncomfortable, or if the machine is hard to adjust, then the value of the elliptical will decrease and runners will be less likely to incorporate the device in their exercise routine. Both the Proform 520e and the Proform 720e have been judged by these three factors in the comparison to follow, as well as by their general value to a runner. For either option, just make sure you pick up a mat to protect your flooring. The treadmill sized ones give you extra space. 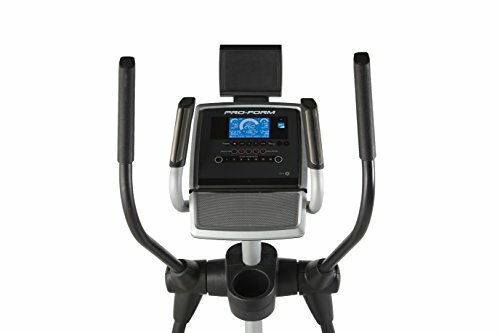 This elliptical is a highly advanced model with a lot of technical bells and whistles that many runners enjoy. It includes an LED screen that shows important information like calories burned, distance run, and average speed. It also comes programmed with 18 workouts, 18 different resistance levels, an EKG grip pulse, and a USB charging station. It is possible to charge one’s iPod on the front dash, and there are water bottle holders. The machine is also iFit compatible. The Proform 520e should last for several years due to the quality of its construction. It has a maximum weight capacity of 300 lbs. and comes with a lifetime frame warranty and a 1-year warranty for parts and the mechanical bits inside. Some additional features of the treadmill include its adjustability, as the steps themselves can be moved by 20 degrees to change their angle and height. Users can also level their feet and control the magnetic resistance in the steps. The machine does have front wheels for easy movement and transport. The entire machines weighs roughly 205 lbs. and has full product dimensions of 17.7 x 30.7 x 66.7 in. 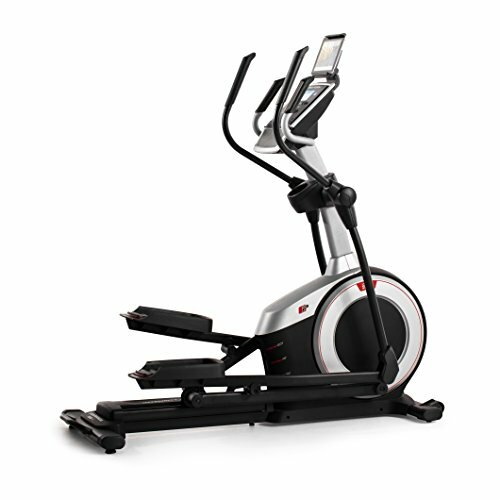 In short, the Proform 520e is a technical, easy to use elliptical favored by many regular runners. It offers enough resistance for hill training and is easy to clean and maintain. If the 520e is a little out of your range, you could always check out the Proform 250i or these under $500 or $300. The Proform 720e is a later model of the 520e and thus includes more features and technical add-ons at a greater price. It comes with a lifetime frame warranty, a 2-year warranty on parts, and a 1-year warranty on labor. The machine can hold people who weigh up to 325 lbs. and itself weighs a solid 225 lbs. So, what sort of features are included in this extra cost? Well, the 720e has 24 preprogrammed workouts, a 5 in. LCD screen that displays important information like calories burned and distance travelled, 20 resistance levels, and a cooling fan for use while running. It possesses an EKG grip pulse and heartrate monitor, a USB charging station, and is compatible with the iPod and iFit. There is also a water bottle holder and front wheels for easy transportation. It has 20 different resistance levels. Some other technical features are the use of Google maps to simulate running through different real-world areas and speakers. The steps are adjustable up to 20 degrees to change their angle and height. The runner additionally has control of the magnetic resistance they experience while using the treadmill. The Proform 720e’s full product dimensions are 17.5 x 30.5 x 66.5 in. Like the 520e, the 720e is a comfortable, sturdy machine designed to last for years under heavy use. 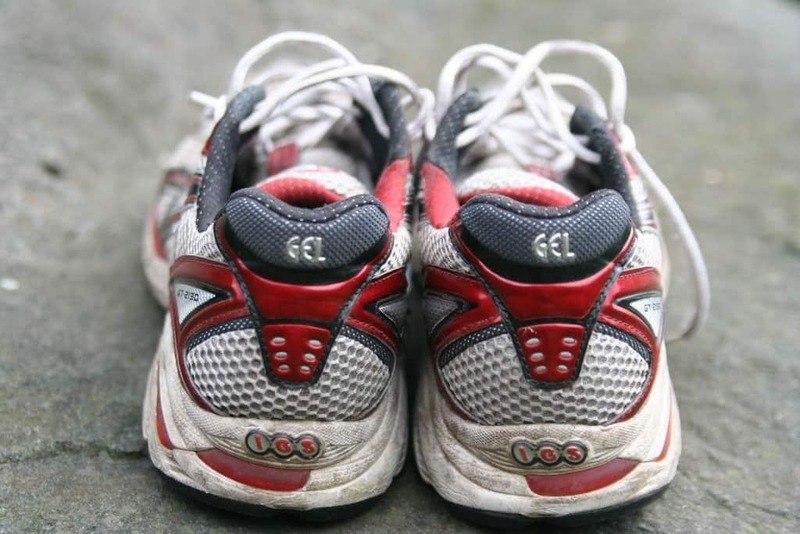 The frame is made from durable steel to prevent movement and breaking down during intense running, making it an excellent fit for daily runners and those who need training for events like marathons. 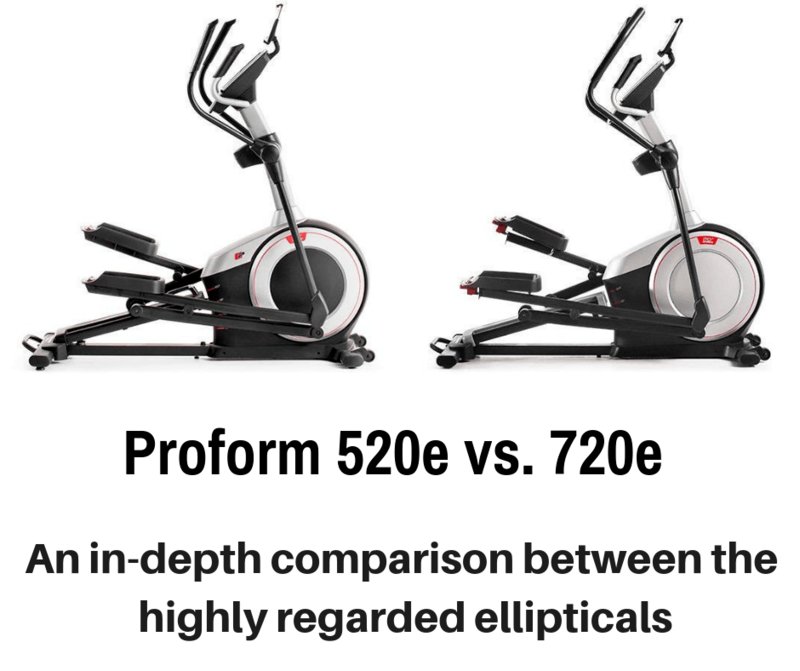 This chart provides a quick breakdown of how the two ellipticals compare to one another over features that are popular and important to runners of all experience levels. Ultimately, what is better is going to come down to what a runner wants, needs, and is willing to spend. While the Proform 720e includes more features, has a longer warranty, and will last longer, it will also require a significant investment. In this case, it’s recommended that runners invest in the 520e unless they want some of the extra features included in the 720e like the Google Maps running mode. Well, just from a brief comparison, the 720e honestly doesn’t have too many new or intriguing features that will be beneficial to runners seeking a workout. So, why spend more money when the less expensive model is almost exactly the same?